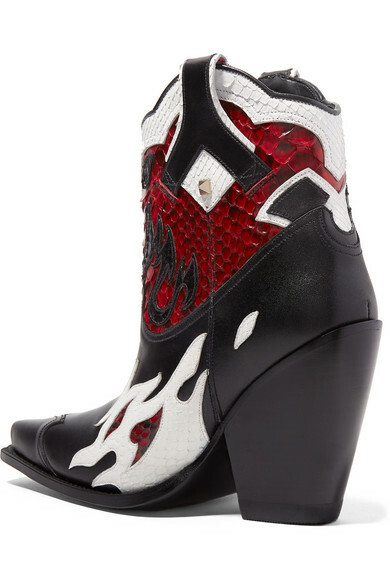 As PorterEdit's Fashion Memo attests, cowboy boots and summer dresses are a power pairing this season and can even be worn to the office if you throw a smart blazer on top. 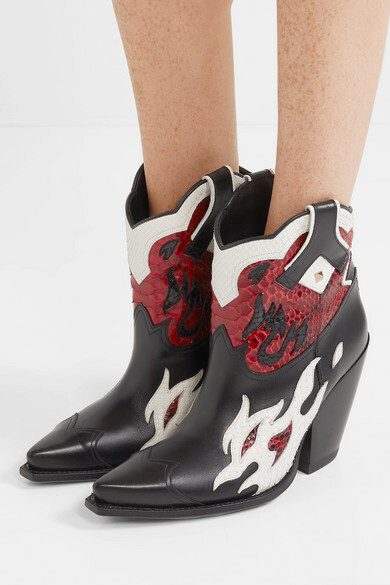 Valentino Garavani's Western-inspired 'Ranch' style has been expertly handmade in Spain from black leather, with python placed to resemble flames. 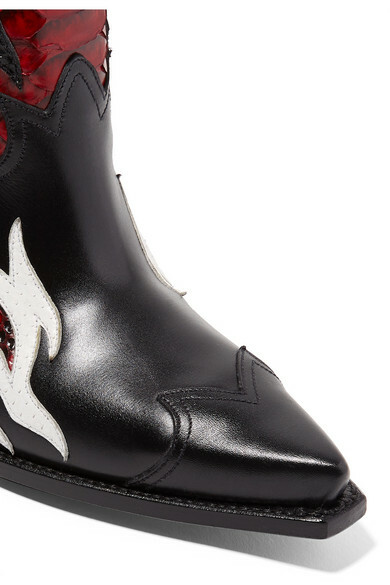 They've got pointed toes and are embellished with galvanized 'Rockstuds'. 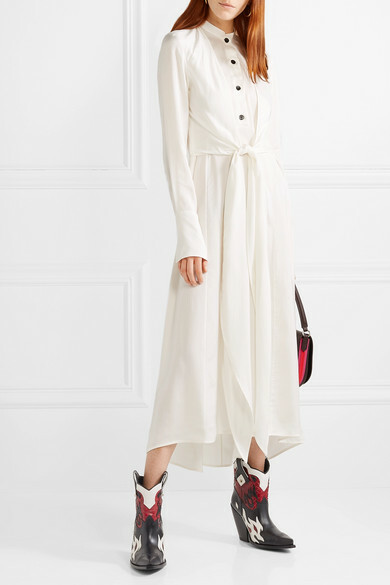 Shown here with: Petar Petrov Dress, CALVIN KLEIN 205W39NYC Shoulder bag, Dinosaur Designs Earrings.